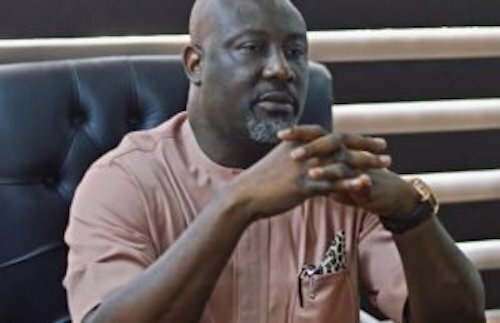 Members of the Peoples Democratic Party are not part of the APC agenda to recall or remove Senator Dino Melaye from office, a PDP member of the House of Representatives, Honourable Teejay Yusuf has said. Hon Yusuf who represents Kabba-Bunu/Ijumu Federal Constituency of Kogi state which includes Senator Dino Melaye’s hometown told reporters in Abuja on during the weekend that the process is a mere APC agenda, adding that it is disturbing that a party that promises progressive change is massively rooted in anti-democratic practices and mere manipulations. Speaking on the allegations and counter allegation that ensued between the Nigerian Police Force and Senator Dino Melaye which led to the hospitalization of the Kogi-born lawmaker, Hon. Yusuf Tajudeen emphasized that the two parties must respect and maintain rule of law. “As the representative of Senator Dino Melaye in the Green Chamber, it is expedient that I advise the Nigerian Police Force to ensure that they exhibit the highest degree of fairness, equity, sincerity and justice in addition to respecting the rule of law in this matter. “As a citizen of the Federal Republic of Nigeria and as a Senator, Senator Dino Melaye has fundamental human rights and the police must strive to acknowledge this,” Hon Teejay Yusuf said. Counseling both the police and the Senator to explore some measure of compromise, he urged the Inspector-General of Police, Mr. Ibrahim Kpotum Idris to ensure that his men do not maltreat the Senator. While it is a fact that nobody is above the law, the Nigerian Police Force must ensure that it follows due process in carrying out its responsibilities. “I specifically appeal to the Inspector General of Police to do everything within the ambit of law and in good conscience to ensure that his officers and men do not do anything illegal or immoral which have the potential to further compound the strained relationship between the National Assembly and Nigerian Police Force,” he added.